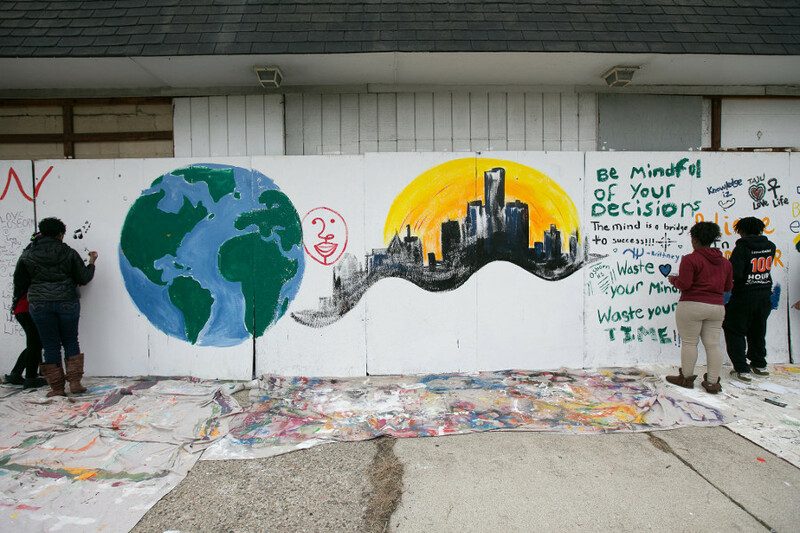 Robert has been a leader of buildOn Detroit’s work to board up, paint and beautify abandoned buildings and houses. Some of the buildings that buildOn students have worked on have sold recently, helping to lift the prospects of the entire neighborhood. Robert knows this service is essential not only to beautifying the city and redeveloping the Osborn neighborhood, but also to curbing the violence and poverty plaguing the city. 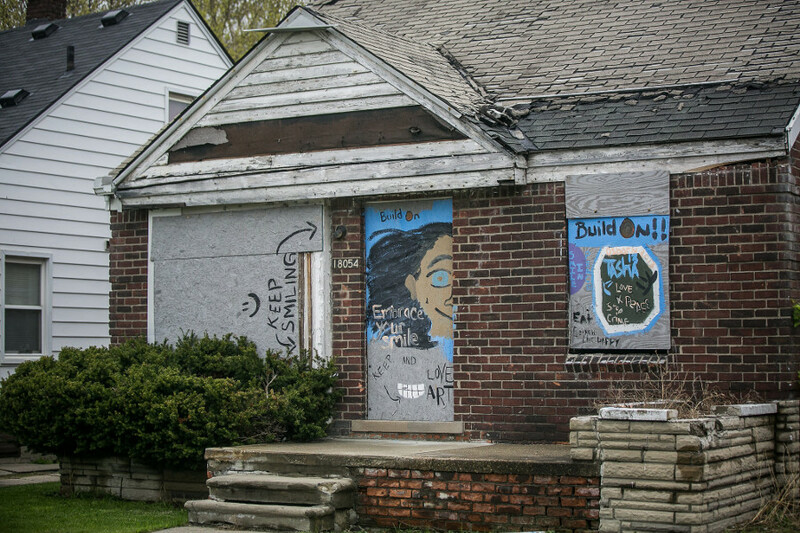 In fact, Detroit’s unsecured abandoned houses have frequently been the scene of sexual assaults on young women and girls. This idea is what’s driving one of the newest blight fighting service projects Robert is spearheading. The buildOn students from Osborn noticed that the only people using the park near their school are older guys who just hang out and keep kids and families away. The park has been neglected and lacks play space, so the student’s plan to restore the park’s baseball diamond and playground equipment so families feel welcome to use the park again. 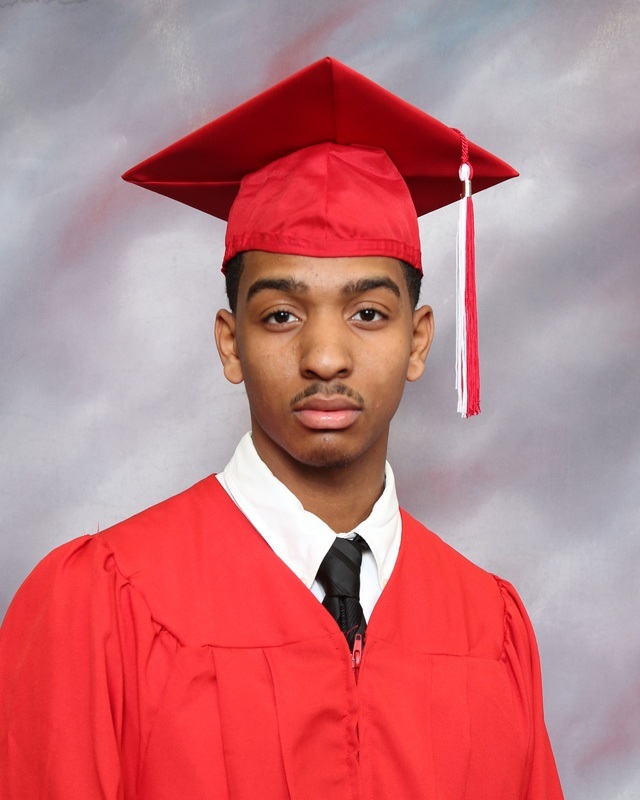 Robert and his classmates are also working on a service project to create bus shelters near the school to give some relief to the students and community members who wait for Detroit’s often unreliable buses during the city’s notoriously bad winter weather. This graduation season, show your #GRADitude for buildOn by investing in future graduates like Robert. Robert is proud of the impact that buildOn students are making through their blight fighting service, but he also knows they need to work with others in the community to maximize their impact. That’s why they’re meeting with city officials to collaborate on their service projects and working to bring community members into the fold. “The blight itself is a huge problem of course, but that comes from people in the community who don’t want to take care of where they live. We have to change that,” Robert says. Although Robert’s high school service with buildOn will be ending soon, he hopes to leave a legacy. Not only is he recruiting his twin brothers to join buildOn at Osborn next year, he’s also mentoring younger kids at the community’s elementary school. This mentorship is another buildOn service project and one of Robert’s favorites. “Before buildOn, I wasn’t sure I liked children. That really changed me, sitting down with the kids at the elementary school. It was really cool getting to know them,” Robert says. Even though the mentoring has officially ended, Robert keeps in touch with his nine-year-old mentee, Gregory. He keeps Gregory and the other elementary school kids in mind when battling blight and wants them to be motivated to better Detroit, too. Robert plans to start a different kind of service in the Marine Corps in the fall, and he sees some similarities between buildOn service and military service. “It’s all about giving back and being a part of something that’s bigger than yourself,” he says. 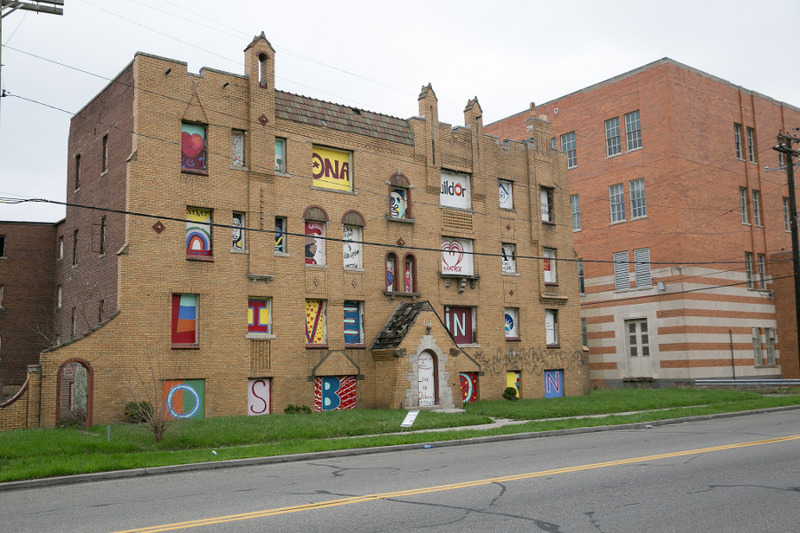 Pictured: A few of the Detroit buildings that Robert and his buildOn classmates from Osborn College Prep have painted and boarded up to improve the safety and quality of life in their neighborhood.